This Volkswagen is a genuine Porsche – and an important part of German automotive history. Ferdinand Porsche designed the car as a pre-series model and prototype in 1939. What was special about this model was the fact that there was a Type 64 engine at the rear of the car in contrast to the other VW prototypes built in Zuffenhausen. This unit was designed for use in the Berlin-Rome car. This sports car was intended to drive to victory in the first long-distance race from Berlin to Rome in 1939. The engine power had been increased to 32 PS for this purpose. With this engine under the bonnet, Ferdinand Porsche and his son frequently drove the VW 39 to and fro between the production location in Zuffenhausen, the Volkswagen plant in Wolfsburg, which was still under construction, and the capital Berlin. With this more powerful engine, the vehicle achieved the outstanding top speed for the time of 145 km/h. 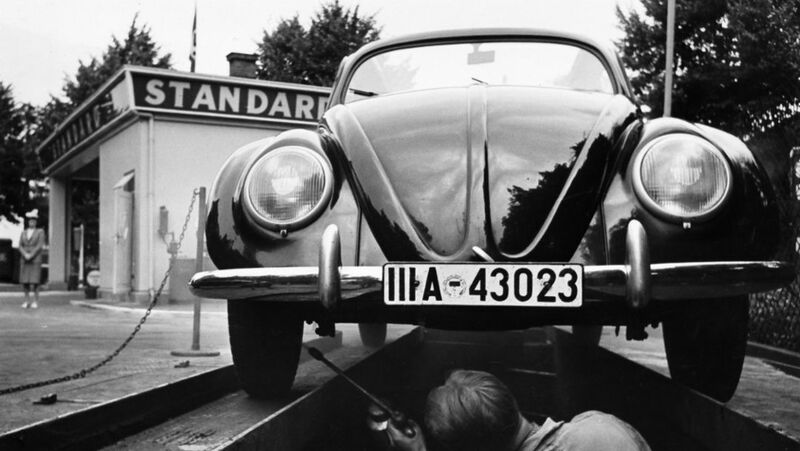 However, the engine was not the only remarkable thing about this Volkswagen, which was referred to the Pretzel Beetle due to the resemblance of the split rear window to the popular baked bread product. When preparing for the planned series production, machine tools were used for the first time to produce the Model 39: components such as the wings or arched bonnet were manufactured in a body press – a production method that would later be further developed and permanently used. 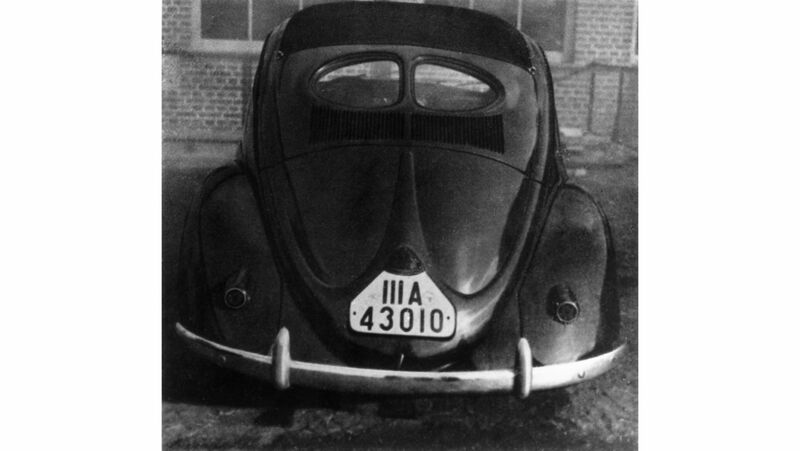 On the VW 39, however, the distinctive vertical fold on the rear can still be seen as a relic of this. When the Volkswagen 39 with the chassis number 1-00003 left the Porsche production line in Zuffenhausen, its journey took it to Berlin to the headquarters of the German Labour Front. Little is known about its use there. It was probably put on show to generate enthusiasm among customers. It is certain, however, that the vehicle was retrieved from the ruins there in a very sorry state after the war and then sold to a collector in Hamburg in 1948. He repeatedly worked on the vehicle, kept it alive with modern spare parts and painted the oldie grey. About five years ago, the classic vehicle was bought by Thomas König and Oliver Schmidt, the founders of the Hamburg Prototype Museum. After more than three years of work with a specialist for early Volkswagen models, the number 1-00003 has been restored to its original condition. Many components had to be specially manufactured by hand for this. With its Nitro Black paint finish, the only VW 39 still in existence now shines just like on the very first day.